My personal favorite is WordPress. 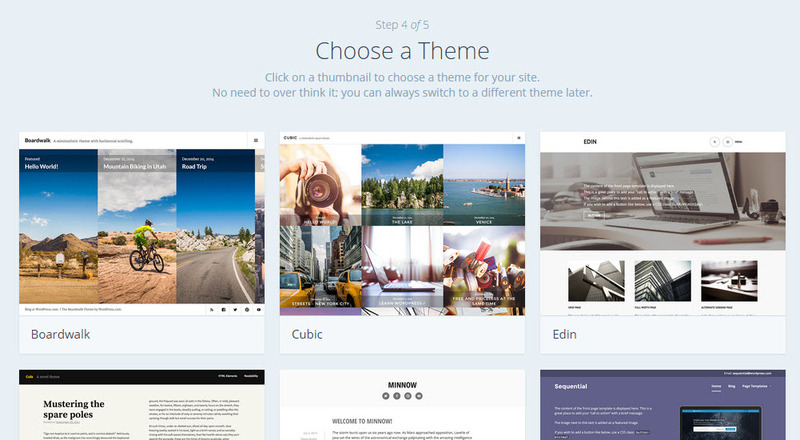 It offers a free beginners website that allows you to try out many of its features. 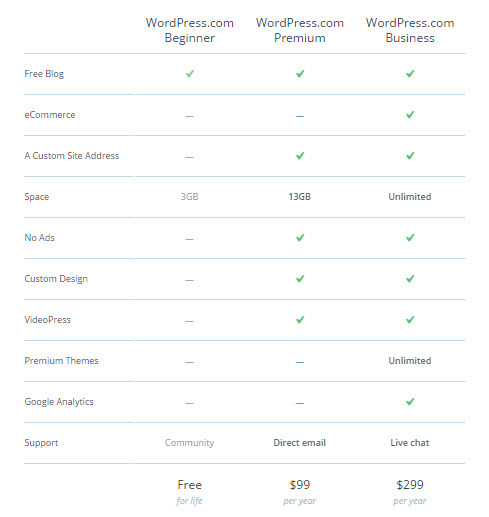 If you desire more features, you can purchase a web hosting plan and install WordPress on that host. 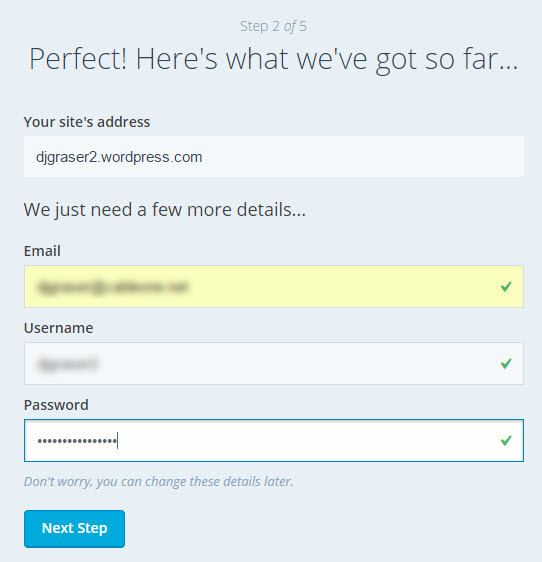 On most hosting plans, installing WordPress software is free . 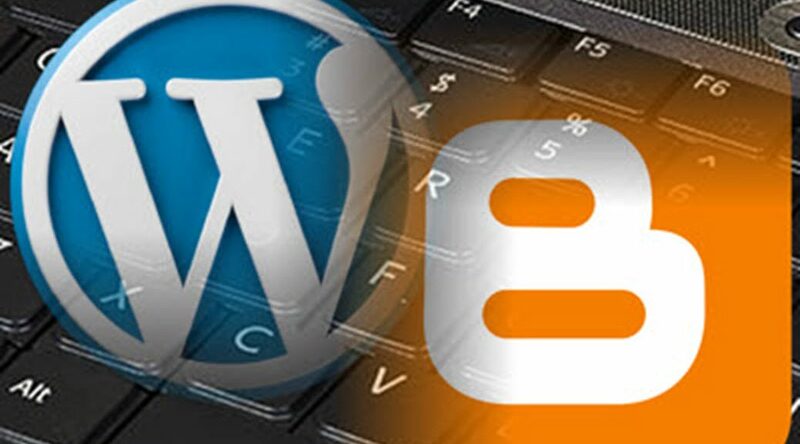 A WordPress installation on your own hosting service adds flexibility and allows you to use a wide array of tools to customize how your blog looks. 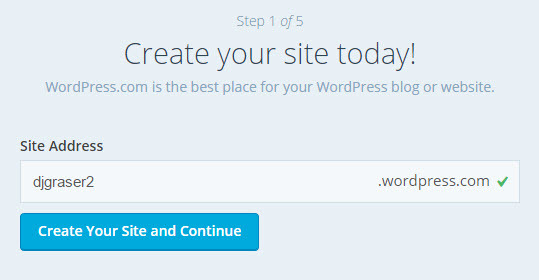 The first step to creating a blog at WordPress.com is to go to the site and select Create Website. On the page shown below, enter the site address you wish to use for your website. In the case above, I have entered the name djgraser2. This means the sites website is djgraser2.wordpress.com. All free WordPress site names consist of a prefix you choose followed by .wordpress.com. 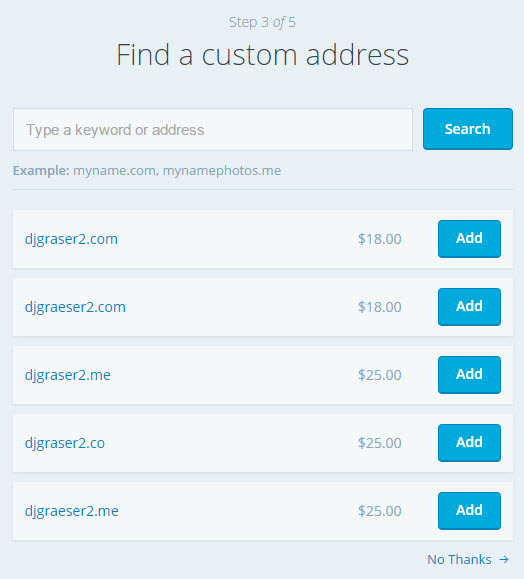 If you want a more custom name, you can purchase further services from WordPress (see below) or use a hosting service. 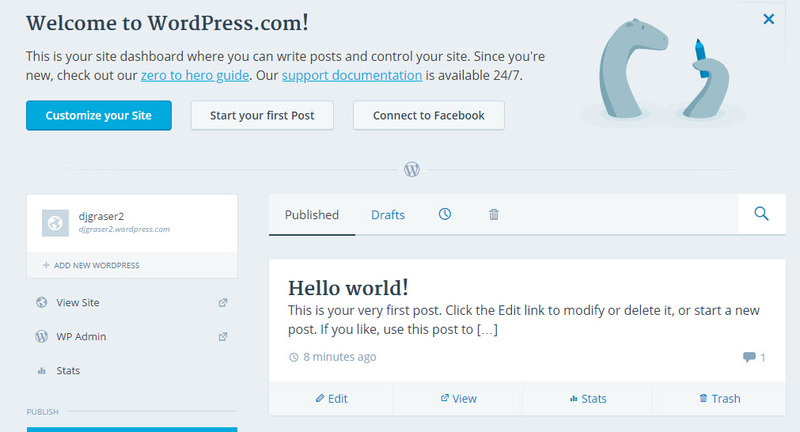 Next you can choose your WordPress plan. For most beginners, the Beginner plan is adequate. 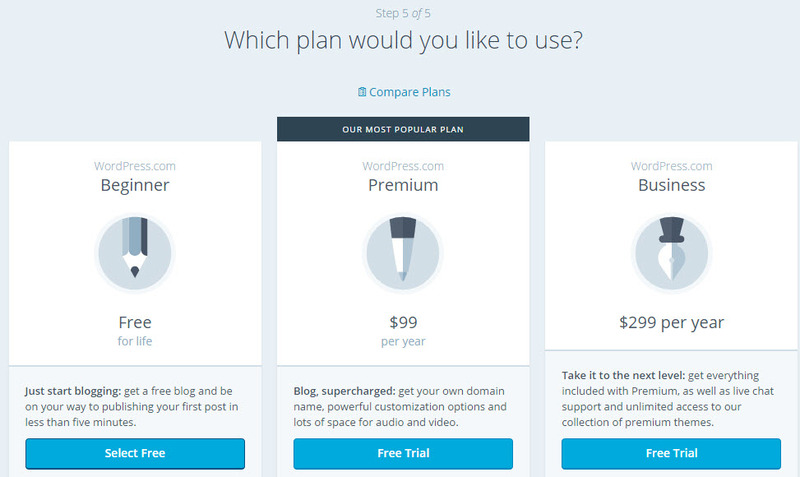 The Premium plan offers more storage and flexibility, but better services are offered from shared hosting services like webhostingpad.com or bluehost.com. 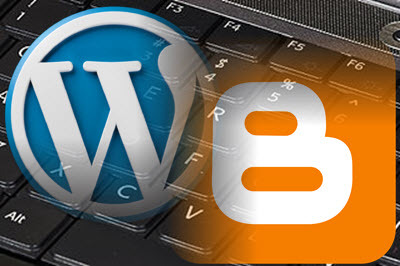 These services will install WordPress on their sites for free.